Although stocks and bonds dominate the financial news, many new investors start out by investing in projects such as real estate or small business start-ups with members of their family. One of the biggest mistakes they make is being under-capitalized, which increases risk. That simply means that they didn’t begin with enough money invested in the project to keep it stress-free and insulated from changes in the economy. Financially savvy families and seasoned investors get around this problem by creating something known as a family limited partnership. It allows members of your family to pool their money and undertake a project, such as building townhouses, which might not be possible for the members individually due to a lack of money or experience. Even world famous investor Warren Buffett started out this way by pooling money from seven family members or extremely close friends. Likewise, Sam Walton did something very comparable when creating Walton Enterprises, LLC, which is the vehicle through which his children and family members own shares of Wal-Mart Stores, Inc., as well as other investments. Although Wal-Mart may be huge today, it was a tiny five-and-dime store when the structure was put in place. A typical family limited partnership has two types of partners—general partners and limited partners. General Partner: One or more members of the family are named as general partners. They will have unlimited liability, just like a sole proprietor, so if the project fails, their personal assets are fair game for creditors. The general partner will be paid according to the partnership operating agreement. Some general partners receive a cut of profits, while others get a fixed annual salary. The general partner is responsible for day-to-day management of the family limited partnership, including hiring and firing decisions, deposits and withdrawals of cash, etc. Limited Partners: The limited partners are family members who contribute money in exchange for ownership in a project but have no management responsibilities. They get together and vote on the partnership agreement, which are the rules governing the family limited partnership, and collect dividends, interest, and profits. As a general rule, limited partners cannot lose more than they have invested in the partnership (there are exceptions, which is why it is important you discuss any plans with a qualified attorney with experience in this area of the law). The limited partners have no say in day-to-day management decisions and cannot be involved in any executive function, or else they may inadvertently cause themselves to lose their protected limited partner status. Robbie wants to build a row of upscale townhouses in the Midwest. He expects the project to cost $1,200,000 including his working capital needs and generate $200,000 in cash each year before interest on mortgage debt and taxes. To keep the project relatively conservative, he wants a down payment of at least 50%, which would require $600,000. The limited partnership will issue 6,000 limited partnership units (“shares”) at $100 each for a total of 6,000 shares and $600,000 in starting capital. These LP units cannot be sold for at least five years and the partnership will pay out 70% of cash earnings in the form of dividends. Robbie will buy 600 of these shares by contributing $60,000 to the family limited partnership (600 shares x $100 each = $60,000). This gives him 10% ownership of the project based on his investment. He will be named general partner and, in addition to his ownership, he will receive the first 5% of pre-tax profits as a management fee for handling the day-to-day operations. Other members of Robbie’s family buy the remaining 5,400 limited partnership shares. Since there are 6,000 shares outstanding, each share represents 1/6,000th ownership in the family limited partnership. Now, Robbie controls a family limited partnership with $600,000 cash. He goes to a local bank and gets a first mortgage loan for the remaining $600,000, giving him $1,200,000 total. 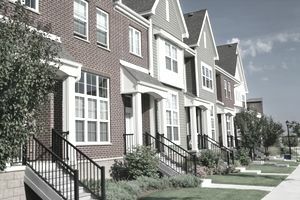 The partnership builds the townhouses, leases them to tenants, and begins to collect rental income. Each year, as the mortgage is paid down and dividends distributed to the partners, the family grows wealthier. Without pooling their money through a family limited partnership, this investment wouldn’t have been possible! How much do you trust the general partner? Remember this person will have unrestricted access to cash deposits and business assets. If you have any questions about their integrity, wisdom dictates you avoid the investment. Often, good management makes the difference between investment losses and big gains. Will pooling your money allow you to undertake projects that otherwise would not be possible and if so, do these projects offer above-average rates of return? Will pooling your money help you avoid “stretching” or reaching too far and taking on too much risk and becoming financially vulnerable? Will the family limited partnership be formed for a single investment opportunity or as an on-going investment vehicle that will continue to create or acquire assets? Is the project for which the limited partnership formed big enough to justify the expense of having a lawyer review securities laws and ensure you don’t break any rules? Issuing limited partnership units is just like issuing stock in many respects and is subject to laws and regulations.